The General Public is to be notified that the JAMB Cut-off mark for the 2017/18 for the ongoing admission process in Universities, Polytechnics and Colleges of Education have been released online. These page will update you with the latest JAMB cut-off point for polytechnics, Colleges of Education and Universities. These cut off marks was announced after the meeting recently concluded by the Board of JAMB to decide how admission procedures for 2017/2018 academic session would be handled. 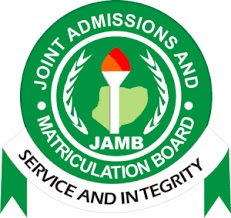 You may ask what is your JAMB cutoff point/mark for your university, here is a list of the JAMB minimum cut-off mark for all the universities, polytechnics and colleges of education in Nigeria. Institutions are, however, at liberty to raise their cut off marks for admission above the minimum set by JAMB. These decisions were taken at the 2017 Combined Policy Meetings on Admissions into Tertiary Institutions in Nigeria which ended on Tuesday. JAMB Registrar, Prof. Is-haq Oloyede said institutions, with the decision, are not to go below the minimum cut-off points adopted at the meeting for admissions. According to him, “What JAMB has done is to recommend; We will only determine the minimum, whatever you determine as your admission cut-off mark is your decision. The board will ensure that criterion set by Senate are strictly adhered to by the institutions’ admission officers and no shifting of goal post in the middle of the admission exercise. This now means that JAMB will not stop any University, Polytechnics or Colleges of Education from setting their Cut off mark. So, candidates are not to expect that Universities will go below 180 minimum cut off mark though some schools may decide to go below that. The standard cut off mark for most Universities has been compiled and shown below and may be subject to change at a later time based on the decision of the University admission board. N/B: The cut off mark for Polytechnics may Change but that of Universities may not change at all.